This was a great place to stay. It was very convenient because it was only 10 minutes away to Rassada Pier. The owner of this place were beyond nice, they treated me like if I was home and made me feel very welcomed. I would highly recommend you to buy your tickets here to go to Phi Phi islands because they have a better deal than any other location. 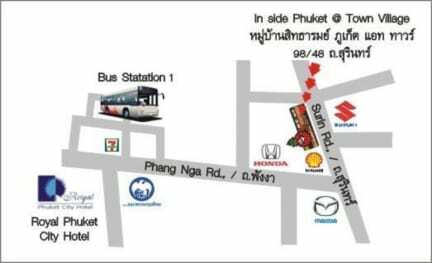 For 700 THB, I had a round-trip ticket from Phuket to Phi Phi and I also had the ground transportation given to me. Best hostel host I’ve ever had! PiTi took us on a tour of Phuket for a very cheap price which was incredible. Lovely man offering an outstanding service! From the minute I arrived I felt so welcome in the hostel. Jazz was the perfect host and was so helpful and kind to me. Facilities were great. Highly recommend this place. It was perfect!! We had a lovely stay here! The owner is lovely, the first day we arrived he drove us around all day seeing the sights, a lot which we would of never gone to on our own, or paid a lot for taxis! The hostel is homely and clean. Definitely recommend! Used this hostel as a layover before heading to the islands which was ideal for us, would not recommend staying here if your looking for a beach/party holiday as located in the old town away from the buzz. However, staff were so helpful and provided us with endless information on Phuket and the islands. Although the hostel was basic it was all that we needed and very close to Rassada pier which meant traveling early wasn't an issue. Would recommend. I stayed here for a night because I had to fly out from phuket and the bus station was like 5 min walk. So that was good. The host is very sweet. 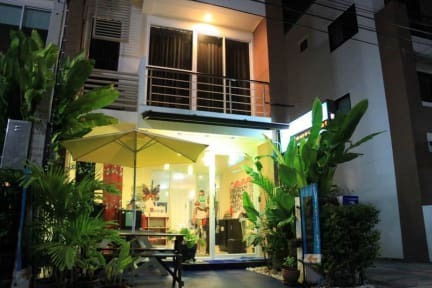 He also gave me a ride to the bus station at 5.30 a.m.
We booked this hostel as we only had on day/night in Phuket before flying out. The hostel was clean but the pictures showed a common room with tv that no longer exists. I had booked this hostel because the reviews said the hosts were really helpful but we didn’t find that to be the case. They didn’t know the cost of buses, bus routes, recommendations for dinner etc. We were disappointed. Beds not comfortable. Hostel common areas very hot. Location not great. Wouldn’t stay again. Location isn’t great, would only recommend this place as a one night stop over hostel before getting a flight or a ferry. The shower in our room was cold and more water comes out of a tap. Also there is a charge to leave your baggage at the hostel during the day of departure which I think is just wrong. All that being said, the host is lovely and a really nice man.